Google’s Hummingbird Evolving SEO | ASTRALCOM - Content Strategy, Conversion Marketing and Customer Acquisition. Recently, in mid-August (reports point to approximately August 23rd), Google launched its “Hummingbird” update. Billed as an entirely new engine to drive search, Hummingbird focuses on conversational search rather than mere keywords. Google’s search chief Amit Singhal revealed in a press conference that Hummingbird represents, for the first time since 2001, a Google algorithm that has been so dramatically rewritten. As more and more search users migrate to smartphones and start to perform searches using voice, Google’s big update is positioned to better understand the sort of spoken queries that people are using to find things that matter to them. As Hummingbird is designed to understand the meaning behind the words, Google hopes to return resources that better match what a given user might be looking for. Not only has Google increased its ability to deal with complex search queries, but it’s gotten much better at relationally linking search queries and web documents via its more robust knowledge graph. 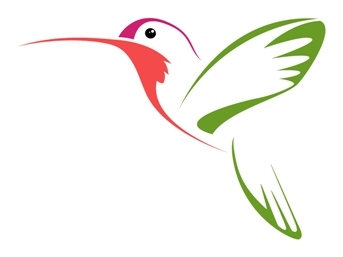 So how will Hummingbird force SEO to evolve? First, Google’s recent decision to force all organic searches to be secure via SSL, keyword-level metrics are no longer going to be reported via popular tools like Google Analytics. This dovetails with Google’s overall push to make keyword-focused SEO less important, and instead focus on the meaning behind the words. It’s becoming less and less about the keyword, and more about the intention behind it. Secondly, social is becoming an effective means of determining what organizations are influencers in a given market. Content can no longer be created and then left in isolation. It needs to be shared across social networks via identifiable influencers to be considered relevant. This points to a need for aggressive content marketing strategies to be woven into ongoing SEO campaigns if they have not already been integrated. This obviously takes time, as building relationships with influencers in a given market and sharing content with them is a lengthy hands-on process. The SEO rewards for doing so however, are immense. And finally, it pays to rethink exactly what it means to be relevant and trustworthy in this new search environment. Organizations should be focused on creating high-quality, engaging, shareable and linkable content. Businesses must understand semantic search and adapt accordingly; to be the authority on a given topic and to provide the answers that people are seeking. Look at the intent behind the query rather than the query itself and give the people what they want. When creating engaging content, at the forefront should be a desire to answer a question a typical visitor to your site might have. Every organization committed to SEO should create better content and more of it and then develop the relationships that can drive that content out through the social networks via recognizable influencers. While these new changes really focus on offsite activities, the foundational aspects of SEO remain just that – foundational. If you have questions about SEO, related to your business, give us a call @ 800.536.6637 or visit www.astralcom.com.